Communication towers are an essential component in our nations infrastructure serving as a great resource for the constantly evolving and technologically driven culture. Whether it’s supporting wireless telecommunications, public safety radios, paging antennas, or other tenants, the maintenance of towers is important to not only the safety of technicians and clients on site but also to the general public that these communication structures serve. A thoroughly maintained tower can increase efficiency of operations on site, resulting in larger profitability for the tower owner as well as facilitating future tower work. A key component of tower maintenance is the continuous and diligent inspection of the structure, especially after major storms and other severe weather conditions. All sites and towers must comply with industry standards such as TIA-222 Rev. G. A thorough tower technician should subconsciously inspect the tower every time they ascend a structure. In order to keep the communications industry safe and growing it is necessary for each member within to actively participate in the maintenance of communication towers. 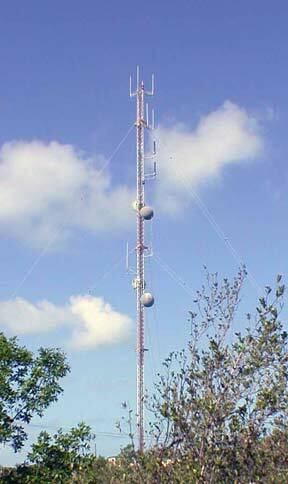 Over time communication towers tend to be neglected and require maintenance for numerous reasons; old unused equipment can become an obstruction or hazard, guyed towers need to be plumb and re-tensioned, or degrading and overloaded towers need to be structurally upgraded. Whatever the scenario, Trains Towers Inc. is available to provide a solution to help maintain the operational integrity of the tower, for more details refer to the Tower Services section. The best course of action is to avoid neglecting minor maintenance, as it can quickly become a major expense. To our Nation, Home Land Security and Economy tower are a vital resource to our country. They support wireless telecommunications carriers, police and fire radios, paging antennas, and other communications equipment. Towers are also a good source of income – space on towers is rented out at a premium. Over time, these towers tend to be neglected and in need of maintenance for stability. 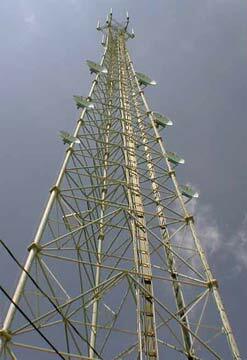 Guyed tower tension requires inspection and maintenance. Old towers, over-loaded towers, and degrading towers can be salvaged by Structural Upgrading. Train’s Towers, Inc. can strengthen, or replace the overloaded structural steel to maintain or increase the loading capacity. Antenna tower structural upgrades can be determined by a site inspection and an analysis of the tower. In many cases upgrading the steel increases revenues with a relatively modest investment.